The information about the Keynote Speakers of ICCEE2018 are as follows, which will be updated regularly. 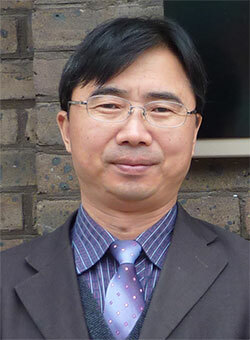 Biography: Dr. Zhongkun Zhang is the excellent professor of Binzhou University in China, he is a postdoctoral researcher of Civil Engineering of Tongji University. And he has ever won the Beijing Olympic bid special merit award. As an expert of Beijing dangerous construction projects, and Beijing urban rail transit engineering, he has ever in charge of several engineering projects, such as China Cement Plant construction, Bangladesh Barapukuria coal mine construction, CRBC (China Road and Bridge Corporation) Ethiopia Highway construction, EPC (Engineering Procurement Construction) bidding for Hong Kong Special Administrative Region, Beijing Olympic National Stadium, Wukesong Stadium and the Olympic Village Construction bidding, as well as Beijing Yizhuang Metro Line Construction etc. Abstract: Through the analysis of urban underground street development and the urban construction situation over the world, and considering the commercial supplementary and comprehensive environmental improvement functions that underground streets have as well as China's national conditions, the research studies the relationship between urban underground streets planning and underground space construction. The commercial advantage that urban underground streets have displays its unique performance. On one hand, underground streets will not be affected by rain and snow factors when people are shopping, which is very attractive to consumers, and which undoubtedly has a positive significance to the active markets and the economic prosperity of the city. On the other hand, underground streets provide not only leisure and pleasure space for people, but also a safe and convenient shopping environment for them. These are the main factors to attract customers. The construction of underground streets can improve the transportation of the city, it can also ensure that all kinds of human activities can get enough space in modern cities at the same time. We should treat both urban and underground space as a whole and set up the urban planning system which is in line with the requirements of the three-dimensional construction of the city. It is high time to make full use of the valuable resource of urban underground space and to develop scientific and reasonable planning of urban underground streets in order to promote the prosperity of modern cities. 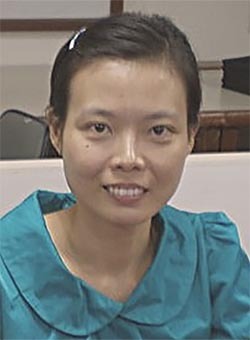 Biography: Dr. Yee Hooi Min graduated with a doctorate degree in Structural Engineering, she is a master of Science Engineering and bachelor of Engineering (Honours) Civil Engineering from the Universiti Sains Malaysia. She was a fellow at Universiti Sains Malayisa. After graduating, she worked as senior lecturer at Faculty of Civil Engineering, Universiti Teknologi MARA, Penang Campus, Malaysia and was promoted to Associate Professor. Her research interest is Computational Mechanics, Computational Analysis of Shell and Spatial Structures, Nonlinear Analysis and Architectural Engineering. She is also certified as an ‘ASEAN Engineer’ and ‘Professional Engineer’. She is a Professional Engineer with Practising Certificate of Board of Engineers Malaysia, the Institution of Engineers Malaysia, the ASEAN Federation of Engineering Organisations, Construction Industry Development Board Malaysia and Concrete Society of Malaysia. She is a member of evaluation panel Engineering Accreditation Council. She get ASEAN Engineer award by the AFEO Governing Board together with the designatory letters ASEAN Eng. She is awarded Universiti Teknologi MARA ‘Excellent Service Award’. She is an Executive Committee of the Institution of Engineers Malaysia (Penang Branch) from 2014-16 to 2017-18. She is a Professional Engineer Interviewer. She has obtained 15 awards in Invention, Innovation and Research Design Platform and has published 73 up-to-date publications. Her other achievements include invitations as Keynote Speaker, International Invited Speaker, International Visiting Professor and Session Chairman in both international and national technical conferences and seminars worldwide which include those in Czech Republic, China, Indonesia, Thailand and Malaysia. Abstract: Nonlinear analysis method is one of the earliest methods proposed for form-finding analysis of tensile fabric structures. However due to some inherent weaknesses, the method has not been fully developed. In this study, computational strategies for form-finding analysis of tensile fabric structure using the nonlinear analysis method have been proposed. Since the method can be used for both the initial equilibrium problem and load analysis, the approach using nonlinear analysis is quite common. For the purpose of verification, form-finding of tensile fabric structures in the form of six minimal surfaces of Catenoid, Helicoid, Scherk, Enneper, Möbius strip, Costa and 11 cable reinforced tensile fabric structures have been carried out. The tensile fabric structure models have been found to converge with least square error of total warp and fill stress deviation less than 0.01. The proposed computational strategies for form-finding using nonlinear analysis have been proven to be applicable for form-finding of tensile fabric structures. Copyright © 2016-2018 3rd International Conference on Civil and Environmental Engineering - All rights reserved.